Some people are born with the “gift” to inspire us to reach our potential. 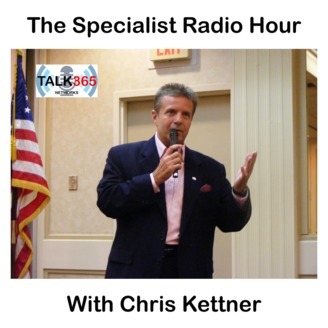 Chris Kettner, aka “The Specialist” a Naval veteran, is one of those unique individuals. Born in Richmond, Virginia, this gifted communicator hit the ground running after proudly serving his country. In a very short time he had become one of the most prolific and successful door to door salesmen in the U.S. With over 40 years of one on one sales experience, he has been recognized with numerous awards, including 5 “man of the year awards” (3 consecutively). As a published author, he penned the highly respected trade manual “The Sales and Management Bible”. He jokingly quips “I have personally interviewed over 250,000 families in their homes, and that doesn’t count the 2 million that didn’t let me in the door. “The Specialist” nickname was given to him over the years for his unique style of teaching, delivery, and attention to minute details. The Specialist introduces you to the Democratic Apology Tour as each candidate seeks the blessing of the “fake reverend ” Al Sharpton. Are people born gay or do they chose this lifestyle? You don’t want to miss the Specialists’ take on this controversial issue. Chris wants to know if there is going to be reparations, how much will we pay? To whom will it be paid?, and what do we get for paying it? Is the word racism going to be permanently gone? 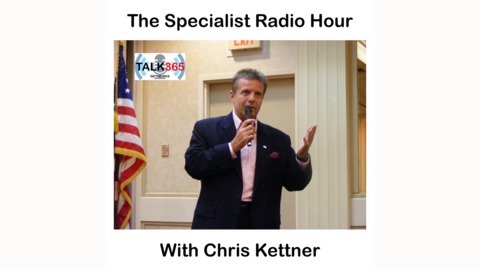 These topics and much, much more on todays’ Specialist Radio Hour.